Brazilian sailing legend, Robert Scheidt, has announced his retirement from Olympic sailing. Scheidt is one of the most successful Olympic sailors in history, winning a total of five medals – two gold, two silver and one bronze. 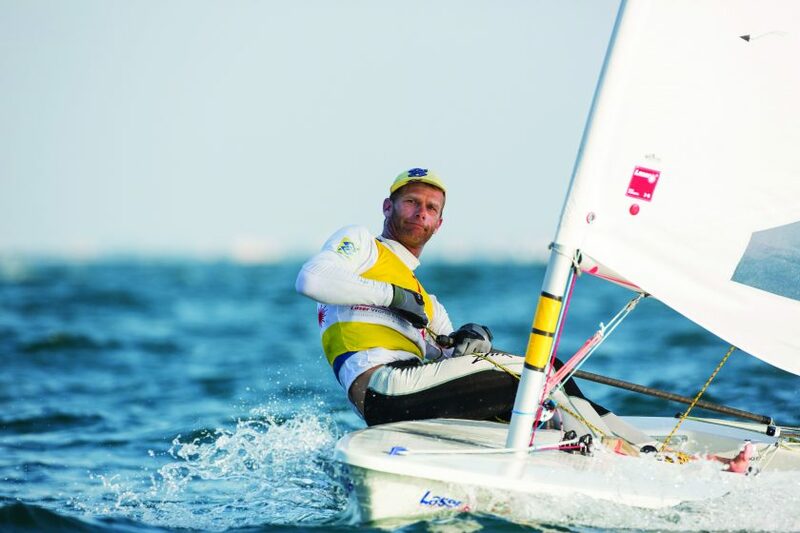 Scheidt’s success in the Laser is well documented winning an incredible 9 Laser World Championship titles over a span of 18 years. In addition Scheidt claimed two gold and one silver medal in back to back Olympics between 1996 and 2004. In 2006 he moved to the Star and, along with Bruno Prada, won silver at Beijing 2008 and bronze at the London 2012 Olympic Games. In 2013 he announced his return to the Laser and admitted that, despite considering the 49er, the Laser was the obvious choice: “I love the concept of sailing on equal boats and to really test the talent of each sailor”. The 2016 Olympics in his home country of Brazil was an exciting opportunity for Scheidt who commented “It would be a unique experience to compete at home with all the crowd and the whole country behind you”. Sadly a medal just slipped though his hands as he took fourth place. Scheidt is also the only sailor who has beaten Sir Ben Ainslie (GBR) at Olympic level winning gold in the Laser at Atlanta in 1996. 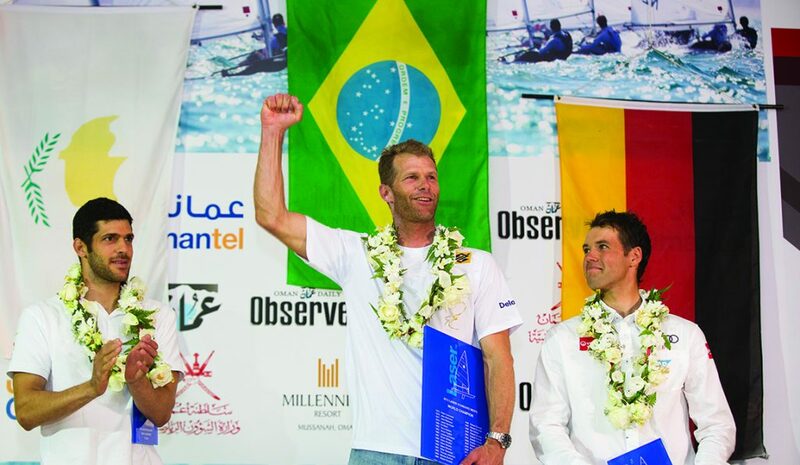 He has also won numerous other titles and has twice been awarded the title of ISAF Rolex World Sailor of the Year Award. Scheidt, now aged 44, has stated that he will continue to sail in non Olympic events and will be supporting fellow Brazilian sailors with their Olympic campaigns. When asked why he was retiring Scheidt said that the training required over the next couple of years would be too much and declared “Two things have always been very important to me – to enjoy what I do and to be competitive. The moment has come in which I no longer feel competitive”. Scheidt is married to the Laser Radial Olympic silver medal winner Gintaré Volungevičiūtė from Lithuania. They have two young children. Robert Scheidt has been a fantastic competitor and indeed ambassador for the Laser Class, and all at the ILCA wish him and his family well for the future.